The Summit Wireless are an affordable pair of Bluetooth wireless earbuds that promise 10 hours of battery life and a rugged, sweat-resistant design. Priced approximately $35, they’re positioned as the sort of headphones you’d want for running or working out. The Summit Wireless feature three different sizes of ear tips as well as two sizes of wing adjustment pieces. 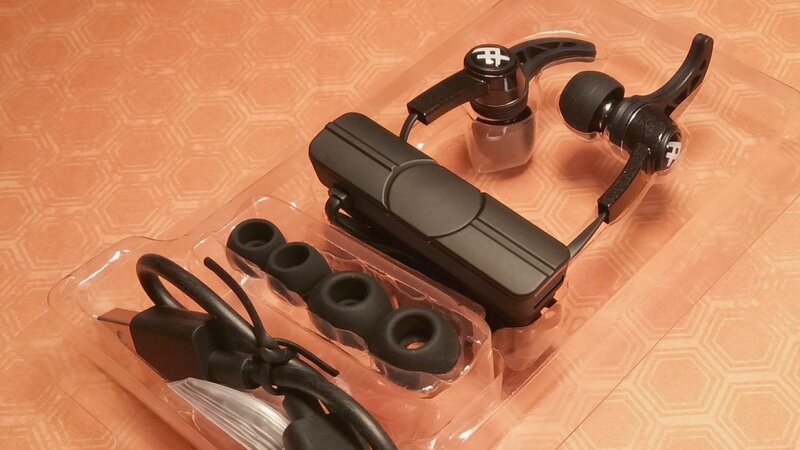 In other words, you’ve got a wide variety of fits to ensure the earbuds sit comfortably in the ear and don’t fall out when moving about. 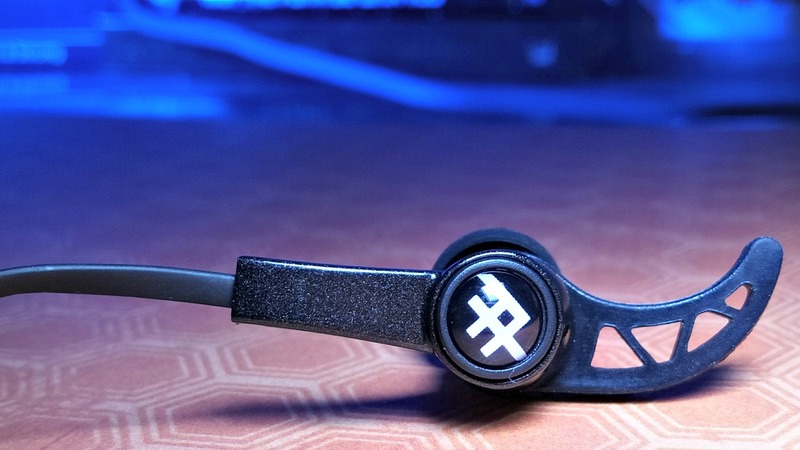 The iFrogz peg the headphones with “up to 10 hours battery life” but that is based on five hours of playback at average levels and five hours of standby time. We found that we could get to the five hours of play with no real problems, but they would not have another five hours of standby. After a few times, we found them dying after five hours of listening and around 2-3 hours of standby. There’s something a little wonky about the standby in general; ours seemed to lose a fair amount of charge if we let them sit for a few days. After a week of not using them, instead of getting the normal amount of playback, we ended up with roughly half of that. 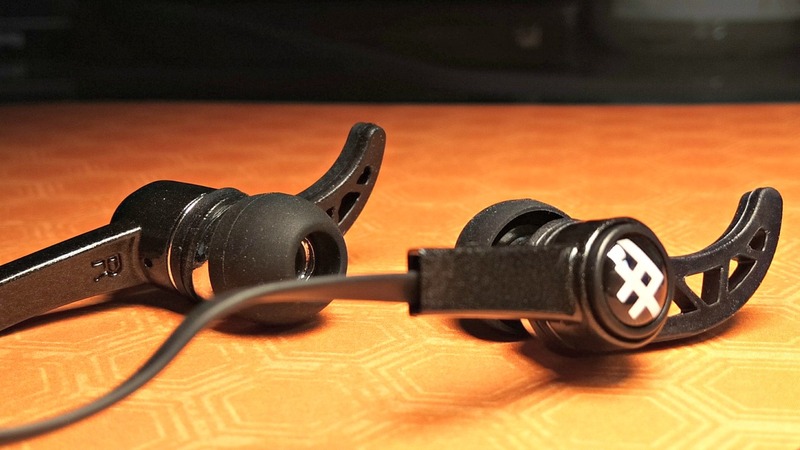 The iFrogz earphones were built well and seem to hold up to moderate wear and tear. Toss them in a bag, throw them on the counter, or stuff them in your pocket; you can be more that a little bit rough with them. The same goes for sweat and perspiration. The Summit Wireless showed no signs of breaking down and performance never suffered. The battery is found away from the earbuds and is also where you’ll find the controls for taking calls and managing music. 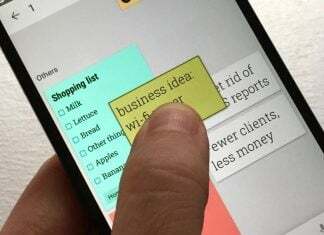 Buttons are somewhat limited, but you do have the ability to adjust volume as well as pause and resume playback. There’s also a clip on the back of the battery and control unit. This lets you fasten the earphones to your shirt sleeve or collar. Do note that there’s not a ton of slack here. It doesn’t allow for much range so don’t put it too far from your ears. On the other hand, it never dangles or gets in your way when bending over or running at a decent stride. Given the Summit Wireless’s $35 price tag, we didn’t expect too much for sound quality. The 8mm drivers put out an acceptable volume level, but the overall experience left much to be desired. You won’t find too much range so don’t pick these up if you plan on really diving into your music. But, if you’re running or working out, you likely aren’t paying close attention to the sound. Pretty much everything we tried music-wise ended up sounding very average. The highs and treble didn’t differentiate itself from the bass and low end. It’s almost as if the audio was smooshed together. If you’re in the market for headphones that sound great, you’ll spend at least twice what these cost. What you’re getting here is convenience, portability, and resistance to sweat. The iFrogz Summit Wireless are affordable and well built; however, they’re definitely not music-first. If you’re generally rough on your earphones, you’ll like that these can withstand moderate abuse. Moreover, the Earbud Tips for Life limited lifetime warranty gives you free replacements of earbud tips should they get worn or damaged. 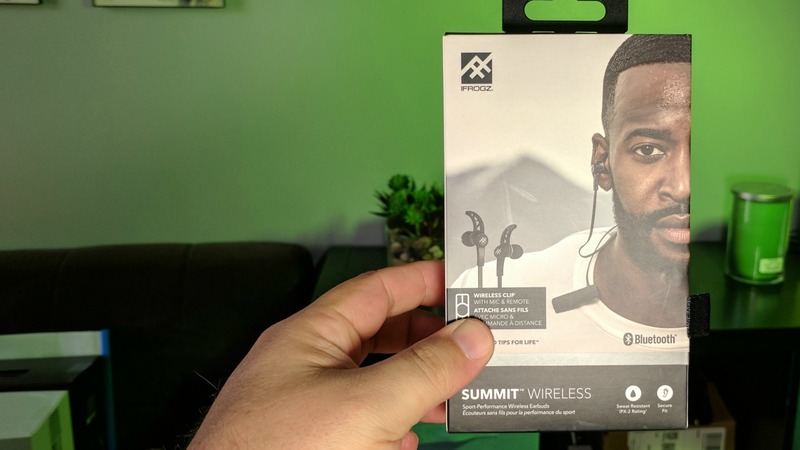 Pick up a pair of the Summit Wireless earphones for about $35 from iFrogz; several online retailers offer them for about the same price, if not a few bucks cheaper. Amazon was selling them for $31.99 at the time of publication of this review. 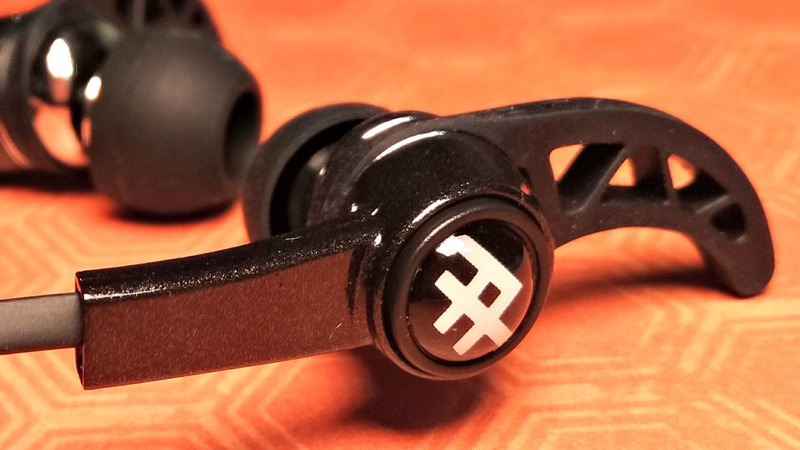 The iFrogz Summit Wireless aren't a music-first set of earphones but they'll get the job done for runners and those who need a tangle-free experience. Look elsewhere for excellent audio but consider these if you like to work up a sweat.